REPRODUCTION STANLEY 10 H.P. 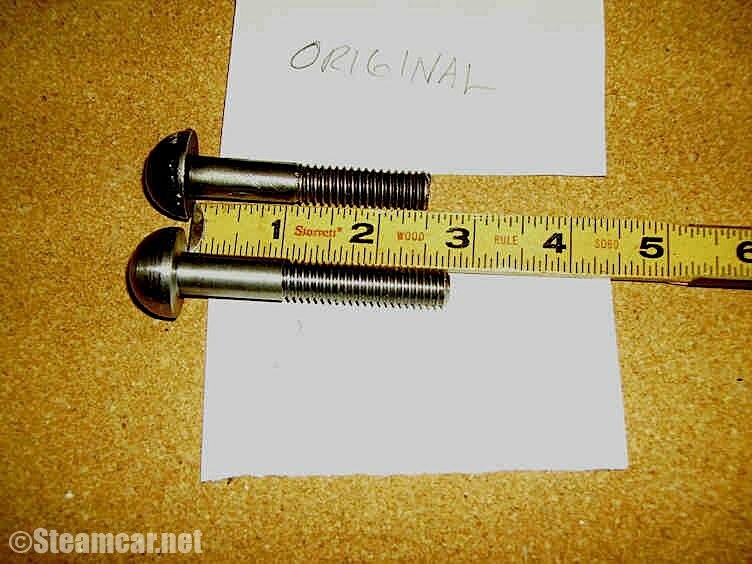 WHEEL HUB BOLTS. 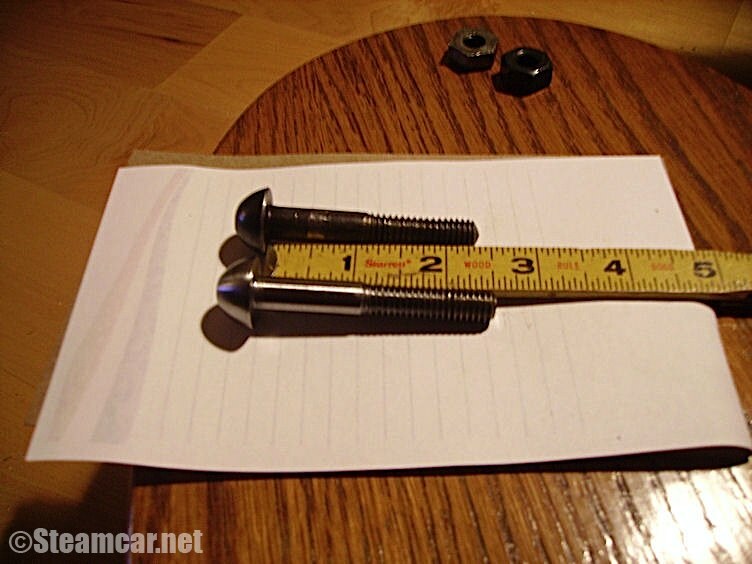 Faithfully reproduced from an original wheel hub bolt. Supplied by Mr. Thomas Marshall Jr. Description: Large carriage head (less square shoulder) as per original. Dimensions are American Inch Diameter: 3/8" threads: 16 length: 2 1/2". * length left longer for peen over, material: grade 2 Hardness 1045 cold rolled steel. 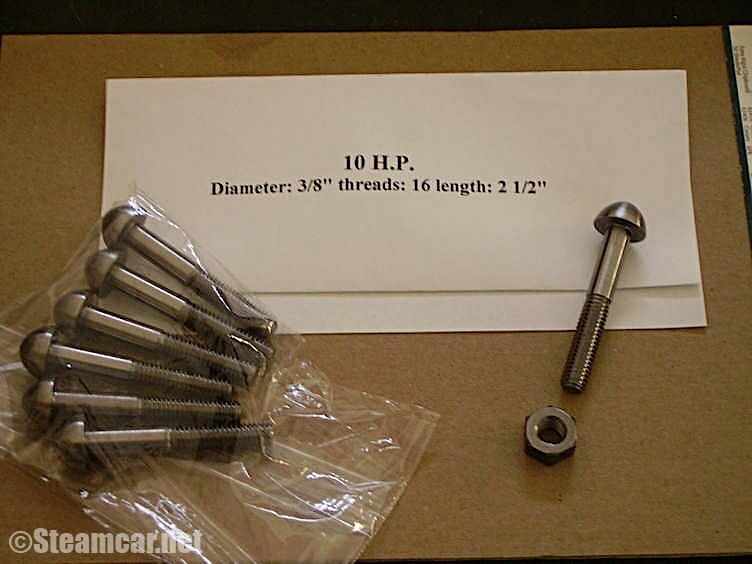 Bolts are priced at $4.00 ea. 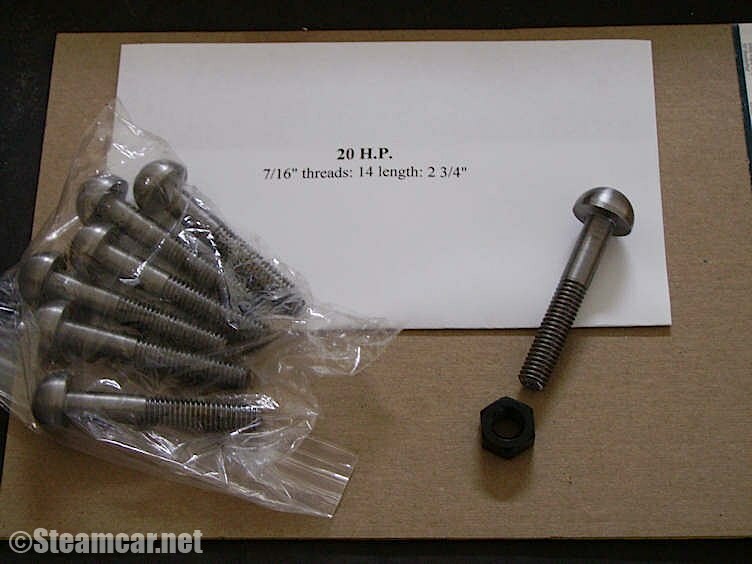 Selling in packages of 6 bolts only. Will need to purchase 4 packages for a complete set of wheels: $96.00.